The dream of reconstructing Syria is beginning to materialize in Tripoli, in the north of Lebanon. The city is only 28 kilometers from the Syrian-Lebanese border, and local authorities want Tripoli to become the number-one hub between Syria and the rest of the world. To achieve that goal, local authorities tripled the size of the Port of Tripoli (PoT) by raising its storage capacity from 400,000 containers to 1.3 million. The PoT is looking to attract foreign investors and encouraging public-private partnerships to finance the full cost of expansion—estimated to run $350-$400 million. Brand new Chinese gantry cranes stretch 46 meters high and 63 meters out over the Mediterranean’s deep waters, ready to unload incoming cargo. Hermes, Gulftainer Lebanon: We expect commercial transit to boom as soon as Syrian reconstruction starts. “We expect commercial transit to boom as soon as Syrian reconstruction starts. We will have a competitive advantage, because the ports nearby are too small for container ships,” says Ibrahim Hermes, CEO of Gulftainer Lebanon, the container terminal’s operator. The company signed a 25-year lease contract in 2013 and is investing around $100 million in PoT expansion. In 2016, the world’s third-largest shipping group, French CMA-CGM, bought a 20% stake in Gulftainer Lebanon; and the following year, the Saudi Arabia–based Islamic Development Bank approved an $86 million loan to continue the port’s expansion. The next development phase includes the backfilling of a 160,000-square-meter container-stacking area and creating a 550,000-square-meter free-trade zone, according to PoT officials. “We are receiving a lot of foreign delegations—Chinese, Russian—who are interested in settling in the Free Zone,” says Ahmad Tamer, PoT’s director, referencing the port’s special fenced-in section legally defined as outside the customs region. The port is Tripoli’s flagship, but local authorities have greater ambitions. 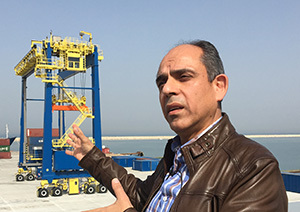 “Our goal is to make Tripoli the economic capital of Lebanon,” says Toufic Dabboussi, president of Tripoli’s Chamber of Commerce, which summarized the city’s assets in a multilingual video for investors: a train station connected to Homs in west-central Syria, an airport, oil and gas refineries—even an international fairground designed by Brazilian architect Oscar Niemeyer in the 1960s. All of this infrastructure—abandoned during the 1975–1990 civil war—is in dire need of investment and could be valuable to Syrian reconstruction efforts. Lebanon hopes that Syrian reconstruction will uplift its own struggling economy. The country has the third-highest debt-to-GDP ratio in the world and the highest concentration of refugees per capita. Unlike most Middle Eastern and North African countries, Lebanon remained officially neutral vis-à-vis the Syrian conflict since 2011 and could therefore be easily welcomed back in Damascus. Lebanon has other competitive advantages: physical proximity, a shared language, intimate knowledge of Syrian markets, an educated labor force and construction-related enterprises such as cement factories. “We have been preparing ourselves for the past six years,” explains Fouad Zmokhol, president of the Association of Lebanese Business People in the World (RDCL World). “Lebanese entrepreneurs have unique know-how, as they already rebuilt postwar Lebanon and Iraq. When it comes to Syria, transportation and logistics will have to transit through Lebanon—but not only that, banking, insurance and consulting services too,” he adds. Ideally, Syrian reconstruction would benefit Lebanon in two ways: Syria would be a market for Lebanese goods and direct investments, and Syria’s postconflict instability would make neighboring Lebanon the safer of the two countries for reconstruction-related investment. After decades of state monopoly, privatization in the early 2000s opened up the Syrian banking sector. 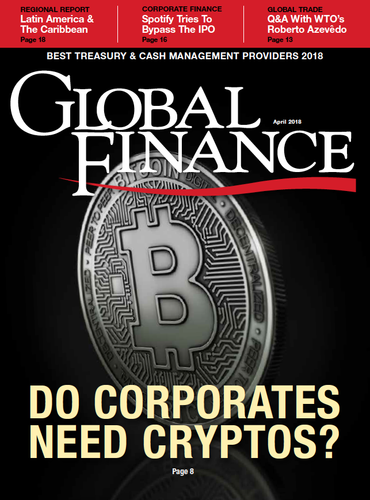 Foreign private banks were able to enter the Syrian market in partnership with local shareholders. Seven Lebanese banks were first to enter: Fransabank, Bank Audi, Blom Bank, Byblos Bank, Banque BEMO, Banque Libano-Française and First National Bank. With the 2011 imposition of international sanctions targeting Syrian regime officials and commercial entities—including banks accused of financing state repression—Lebanese bankers have become extremely cautious with all Syria-related transactions. In recent years, Lebanese bankers have stepped down from the boards of directors of their Syrian subsidiaries, shrunk their Syrian bank branches and deconsolidated, distancing themselves from their Syrian operations. Some have written off their investments in Syria entirely. Some Turkish firms are already present in Syria’s northern city of Al-Bab, where a 560,000-square-meter industrial zone is being developed. The Russians also signed a deal to build railway lines from Palmyra in central Syria to Tartous on the coast, to facilitate phosphate transportation, but at this stage it is unclear who will be providing the bulk of reconstruction funds. The winners of the war—Iran and Russia—will not pay for reconstruction, and it is unlikely that Gulf countries will invest in Iran’s ally. For now, Western powers and international institutions will not pay for reconstruction unless the Syrian regime agrees to a political transition. Before the war, China was Syria’s second commercial partner; but the Asian giant seems hesitant to relaunch operations. These political realities work to Lebanon’s advantage. “Because funding will be hard to secure, the reconstruction will probably extend over two decades or more, which means an important and stable market for Lebanon,” says Bank Audi’s Freddie Baz. Although war is raging, with recent military offensives in Damascus suburbs and the northern Syrian-Kurdish canton of Afrin, fighting has ground to a halt in most of the country. Good news for Syria—and maybe Lebanon, too.